Park Hyatt, where the film 'Lost in Translation' was filmed. While they haven't taken off in North America, QR codes are still widely used in Asia. 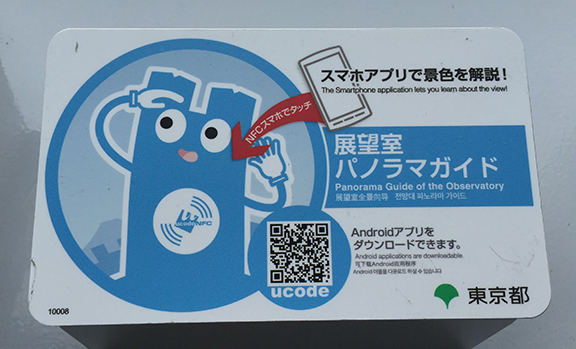 This one, at the observation deck of the Tokyo Metropolitan Government Office, connects to an interactive app giving users background information about the view they are enjoying.